Advocate BroMenn Medical Center will offer an “Infant CPR” class Wednesday, April 17 from 6 to 7 p.m. at the hospital, 1304 Franklin Ave., Normal. The class is intended for new parents and caregivers. It covers Infant CPR skills and is taught by an Infant CPR certified instructor. The class is not an Advanced Cardiovascular Life Support (ACLS) certification class. A CPR kit and instructional DVD is included in the fee. Class fee is $35, and registration is required. For more information or to register, visit www.advocatehealth.com. The Advocate BroMenn Health and Fitness Center will begin a six-week “Mommy & Me” yoga class series on Wednesday, April 17, at the center, 1111 Trinity Ln., Bloomington. The class will meet Wednesdays from 4:30 – 5:15 p.m.
Mommy & Me Yoga is a fun yoga class for new moms and their young babies. This class is designed for parents and their infants (six weeks to active crawling) and provides moms the opportunity to regain strength and tone muscle while bonding, singing, and playing with their babies. Mom and baby will play and practice yoga while they explore movement, practice infant massage and connect with other moms and babies. The fee for Fitness Center members is $40 for the series, or $65 for non-members. Child care for older siblings is available for a small additional fee. Contact the Advocate BroMenn Health & Fitness Center at 309-433-9355 for more information or to sign up. Volunteer donors are the only source of blood products for those in need of transfusions, and the Red Cross salutes the volunteer blood and platelet donors who help fulfill its life-saving mission. While donors of all blood types are needed, the Red Cross currently has a severe shortage of type O blood donations and urges type O donors to give now. 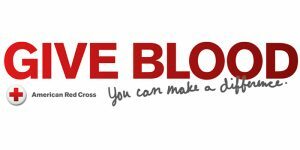 April 10: 12:15 p.m. – 7:30 p.m., Bloomington, Blood Donation Center, 1 Westport Ct.
April 11: 9 a.m. – 1 p.m., Central Catholic High School, 1201 Airport Rd. 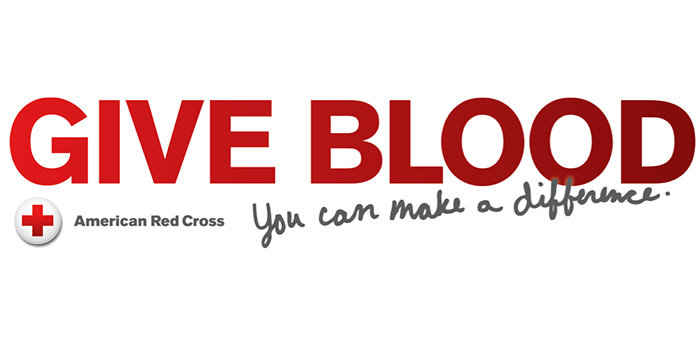 April 11: 9:45 a.m. – 4:45 p.m., Bloomington, Blood Donation Center, 1 Westport Ct.
April 12:: 7:45 a.m. – 2:45 p.m., Bloomington, Blood Donation Center, 1 Westport Ct.
April 13: 7:45 a.m. – 2:45 p.m., Bloomington, Blood Donation Center, 1 Westport Ct.
April 14: 7:45 a.m. – 2:15 p.m., Bloomington, Blood Donation Center, 1 Westport Ct.
April 15: 12:15 p.m. – 7:15 p.m., Bloomington, Blood Donation Center, 1 Westport Ct.
April 16: 12:15 p.m. – 7:15 p.m., Bloomington, Blood Donation Center, 1 Westport Ct.
April 17: 12:15 p.m. – 7:30 p.m., Bloomington, Blood Donation Center, 1 Westport Ct.
April 18: 9:45 a.m. – 4:45 p.m., Bloomington, Blood Donation Center, 1 Westport Ct.
April 19: 7:45 a.m. – 2:45 p.m., Bloomington, Blood Donation Center, 1 Westport Ct.
April 20: 7:45 a.m. – 2:45 p.m., Bloomington, Blood Donation Center, 1 Westport Ct.
April 21: 7:45 a.m. – 2:15 p.m., Bloomington, Blood Donation Center, 1 Westport Ct.
April 22: 12:15 p.m. – 7:15 p.m., Bloomington, Blood Donation Center, 1 Westport Ct.
April 23: 12:15 p.m. – 7:15 p.m., Bloomington, Blood Donation Center, 1 Westport Ct.
April 24: 12:15 p.m. – 7:30 p.m., Bloomington, Blood Donation Center, 1 Westport Ct.
April 25: 9:45 a.m. – 4:45 p.m., Bloomington, Blood Donation Center, 1 Westport Ct.
April 25: 1 p.m. – 6 p.m., Second Presbyterian Church, 404 N. Prairie St.
April 25: 1 p.m. – 6:30 p.m., St Mary’s Elementary School, 603 W. Jackson St.
April 26: 7:45 a.m. – 2:45 p.m., Bloomington, Blood Donation Center, 1 Westport Ct.
April 27: 7:45 a.m. – 2:45 p.m., Bloomington, Blood Donation Center, 1 Westport Ct.
April 28: 7:45 a.m. – 2:15 p.m., Bloomington, Blood Donation Center, 1 Westport Ct.
April 29: 12:15 p.m. – 7:15 p.m., Bloomington, Blood Donation Center, 1 Westport Ct.
April 30: 12:15 p.m. – 7:15 p.m., Bloomington, Blood Donation Center, 1 Westport Ct.
May 1: 12:15 p.m. – 7:30 p.m., Bloomington, Blood Donation Center, 1 Westport Ct.
May 2: 9:45 a.m. – 4:45 p.m., Bloomington, Blood Donation Center, 1 Westport Ct.
May 3: 7:45 a.m. – 2:45 p.m., Bloomington, Blood Donation Center, 1 Westport Ct.
May 4: 7:45 a.m. – 2:45 p.m., Bloomington, Blood Donation Center, 1 Westport Ct.
April 22: 2 p.m. – 6 p.m., Normal Public Library, 206 West College Ave.
April 30: 12:30 p.m. – 5 p.m., College Park Christian Church, 116 N Cottage Ct.
May 3: 11 a.m. – 4 p.m., Illinois State University Bone Student Center, Bone Student Center, 100 N. University St.
April 13: 8 a.m. – 12 p.m., Towanda Fire Department, 203 W. Jackson St. The Serve Illinois Commission on Volunteerism and Community Service (Commission) presented 27 Illinoisans and businesses with the Governor’s Volunteer Service Award during a special event at the Old State Capitol in Springfield on April 9. The award recognizes volunteers and volunteer programs that have made a difference in Illinois and highlights the importance of volunteerism and community service. Ryan Scritchlow of Bloomington was honored for his service to Habitat for Humanity. Additionally, nomination forms are now available for the Commission’s companion awards program, the Governor’s Hometown Awards. The Governor’s Hometown Awards program gives formal recognition to communities that contributed to their community’s quality of life via projects that had strong volunteer support, met a need, and made a definitive impact. Nominations for the Governor’s Hometown Awards are due July 25 and are available at www.serve.illinois.gov. Illinois EPA household hazardous waste collections are held to encourage residents to safely dispose of unused or leftover household products commonly found in homes. Ten collection sites have been confirmed for the spring with an additional four locations being finalized. Details for the additional collections will be announced at a later date. One-day collections are open to all Illinois residents and operate from 8 a.m. to 3 p.m. on the above scheduled Saturdays. Residents are encouraged to bring chemical cleaners, oil-based paints, thinners, antifreeze, motor oil, gasoline, kerosene, weed killers, insecticides and pesticides, old or outdated medications, and similar hazardous household products. Fluorescent and other high-intensity discharge lamps may also be brought to the collections. Items not accepted include latex paint, explosives, propane tanks, fire extinguishers, smoke detectors, agricultural chemicals and business wastes. A complete list of household hazardous wastes that are and are not accepted is available online at http://www.epa.illinois.gov/topics/waste-management/waste-disposal/household-hazardous-waste/acceptable-wastes/index.